Janmashtami or Gokulashtami marks the celebration of the birth of Lord Sri Krishna, who is considered as the eighth avatar (incarnation) of Lord Vishnu. Lord Krishna was born to King Vasudev and Mata Devki in the prison of Kansa on a dark, stormy and windy night, when moon entered the house of Vrishabha in the ‘Rohini‘ nakshatra. Krishna Janmashtami is observed on the ashtami or the 8th day of the Krishna paksha or dark fortnight in the Tamil month of Avani on the Rohini Nakshatra and this year it falls on Aug 21st – Aug 22nd IST. This sacred festival fills everyone with the devotion of Lord Sri Krishna. Lord Krishna, through this famous saying of Bhagvad Gita , says that whenever any harm to religion will happen, He will take birth or incarnate on this earth plane and establish religion by destroying the profane activities. Bhagavatam, which carries the life history of Lord Krishna, describes Krishna’s miracles to save the world and his devotees. One day a poor person brought Lord Krishna a dried grape as an offering to Him and as soon as He put it in his mouth, the very same time, the poor man’s hut became a mansion surrounded by trees and a beautiful lake. This is the power of Lord Krishna. Lord Krishna’s remembrance brings extreme joy and pleasure because He himself was a manifestation of joy at all levels and in all walks of life. 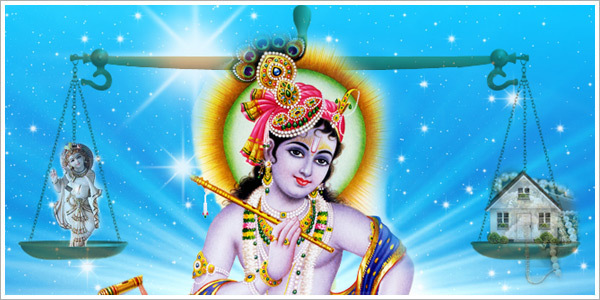 Janmashtami 2011 will clearly demonstrate Lord Krishna’s presence and power because of its proximity to 2012. On this day of the 8th Moon and Krishna’s birth star Rohini, He quickly responds to every prayer. He will make sure this Janmashtami, that poor people and those who are struggling to make money will soon see abundance. Lord Krishna had provided a concept for human living, when He was here 5000 years ago and that is perfect health, perfect wealth, perfect youth and perfect relationship. Offer your prayers to Lord Krishna this Janmashtami for perfect wealth and perfect health; otherwise you will have to wait for one more year for his next birthday.